Richard Mark, Chairman and President of Ameren Illinois Company (AIC), is serving as the Council's Treasurer. AIC is a subsidiary of Ameren Corporation, a Fortune 500 company, and serves over a million gas and electric consumers across three-quarters of Illinois. Since 2002, Mark has held many executive roles with Ameren. Currently he is leading the grid modernization effort in Illinois, which includes the installation of smart meters that will help customers manage their energy consumption, and smart sensors that will help reduce outages. Mark also serves on several boards, including Tenet Healthcare, Fontbonne University, and the Saint Louis Regional Business Council. 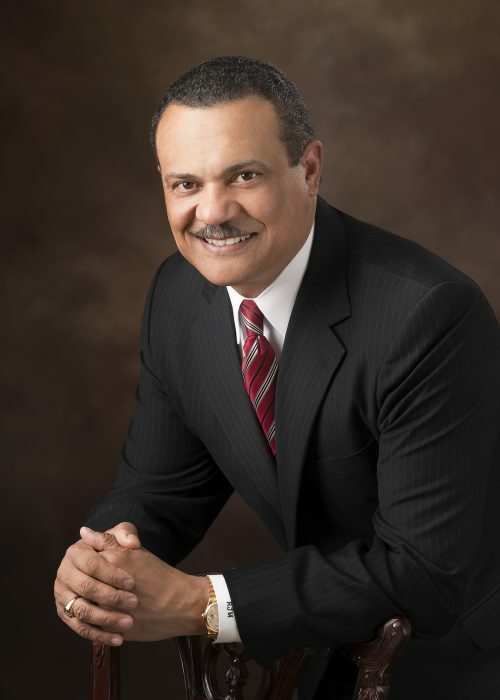 He has been recognized for his civic and community work with three honorary doctorate degrees and many awards, such as being recognized by Black Enterprise Magazine as one of the Most Powerful Executives in 2012 and 2017, receiving the 2018 Visionary Award from Foundation Fighting Blindness, and the 2015 Outstanding Corporate Leadership Award.